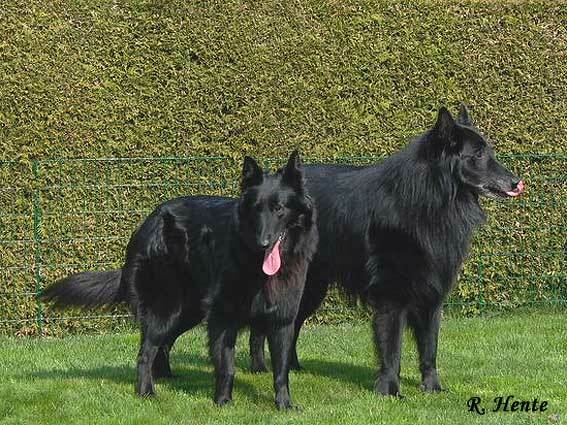 Karol-Iza du Chemin des Sorciéres. 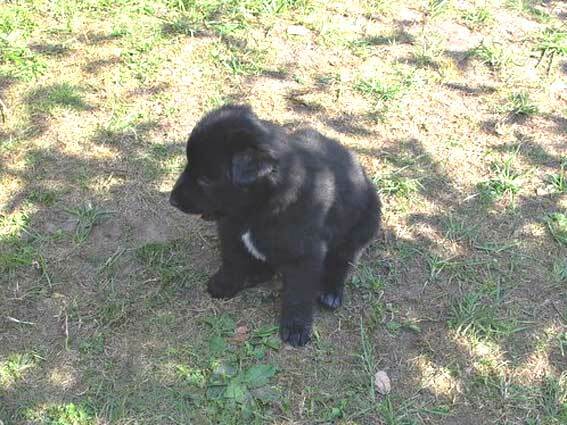 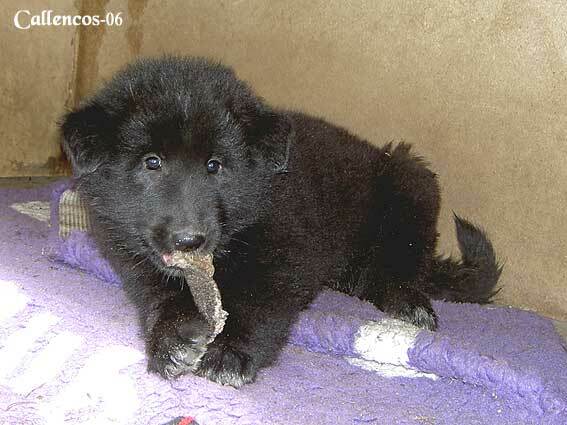 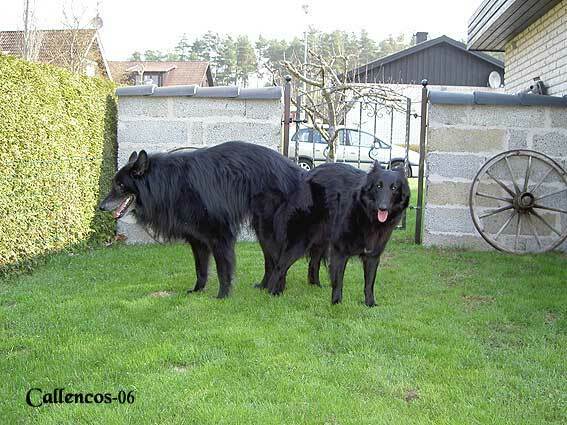 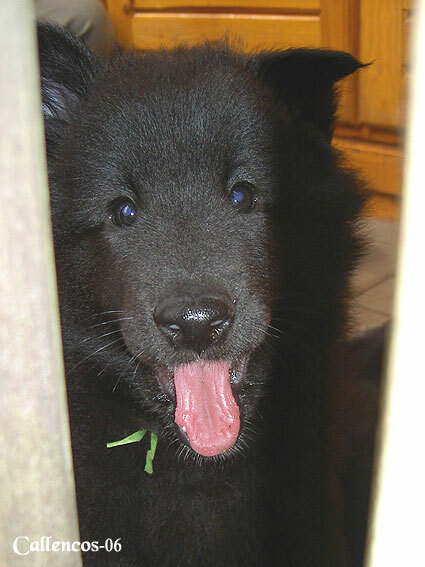 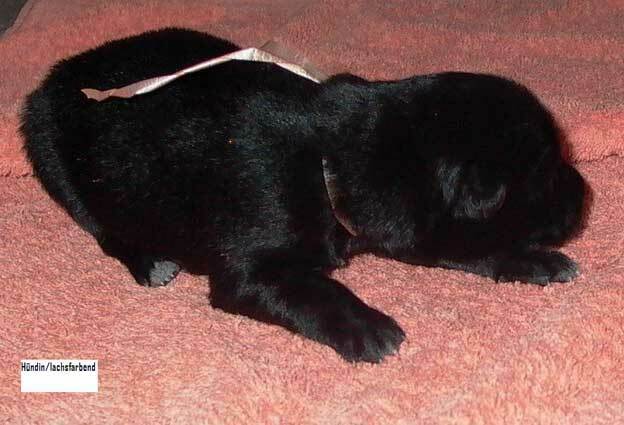 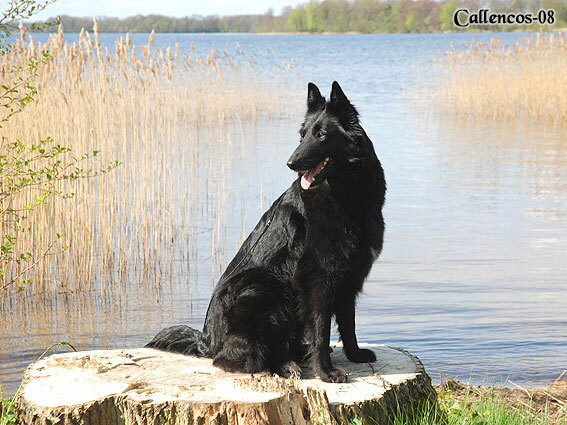 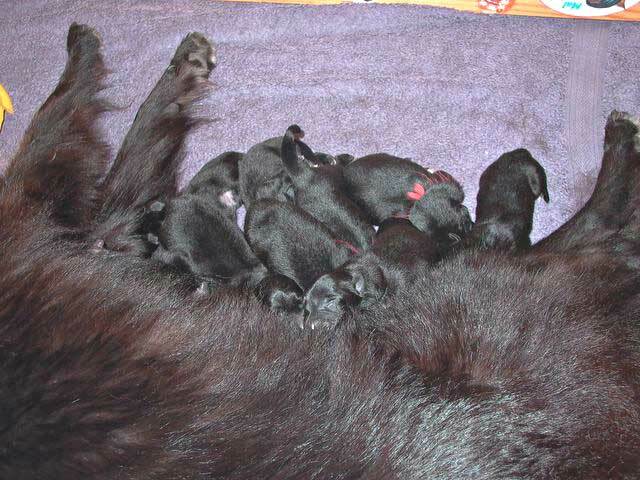 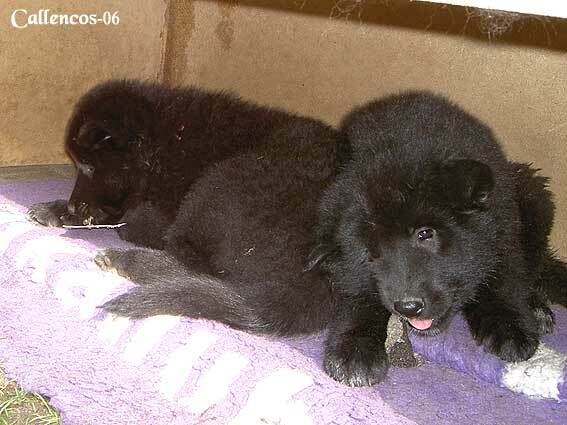 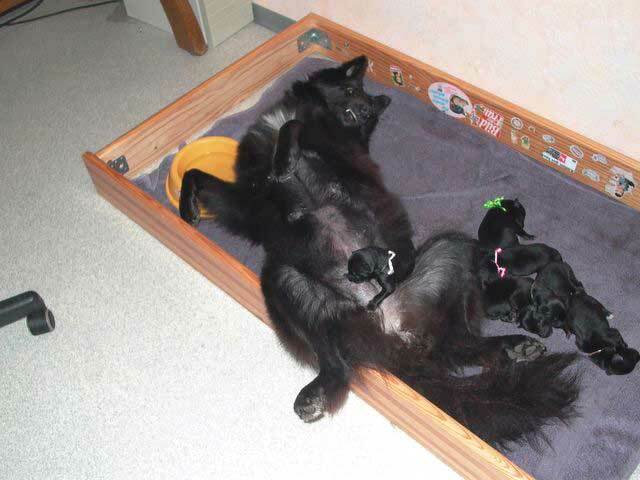 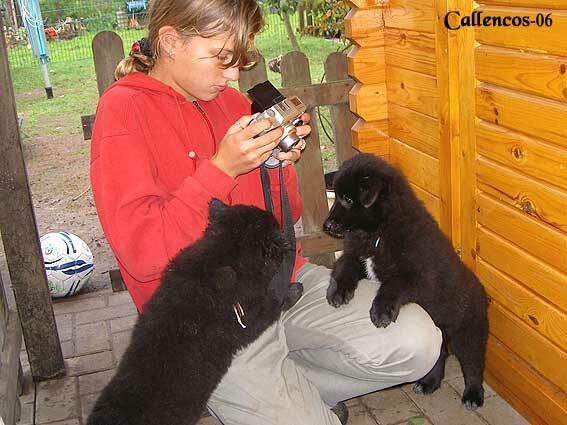 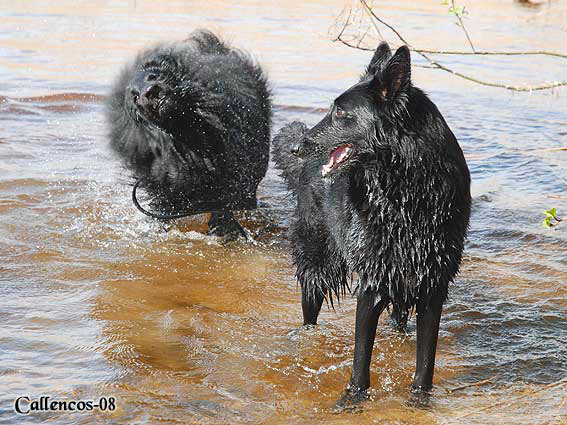 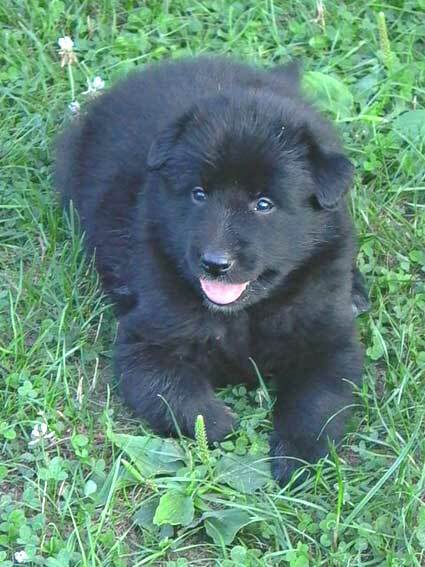 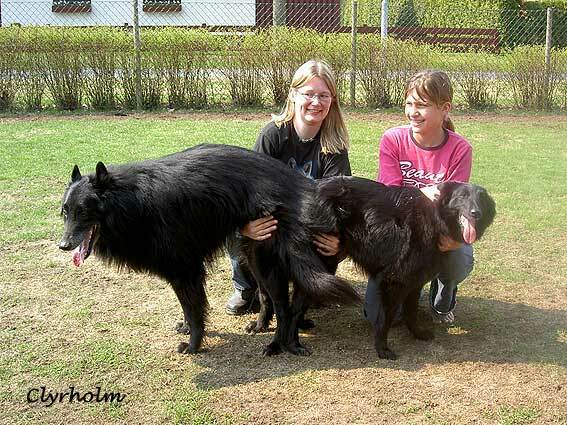 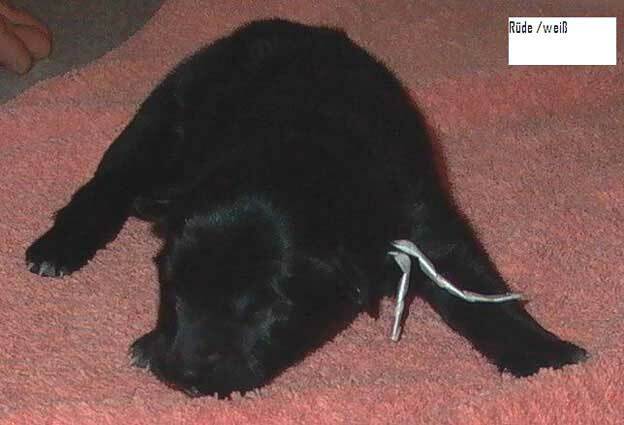 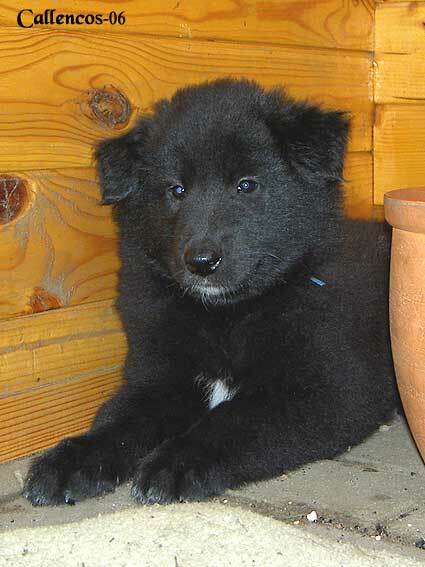 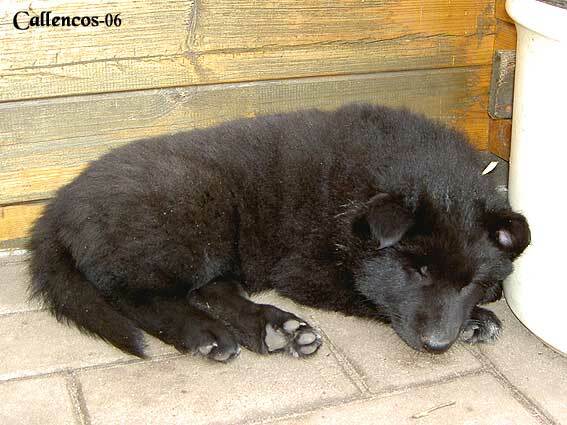 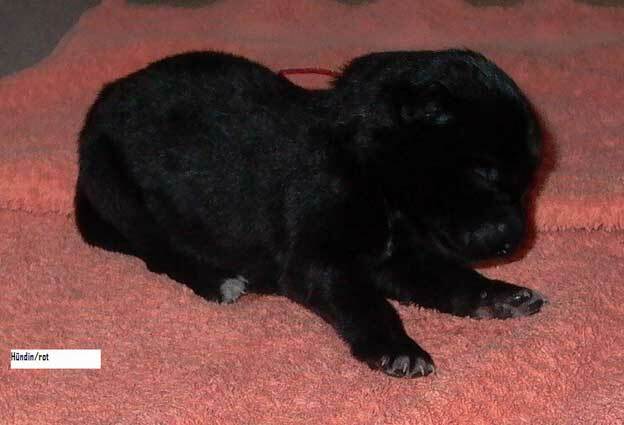 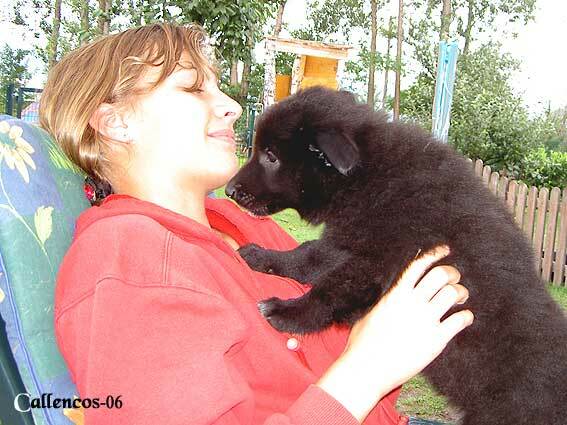 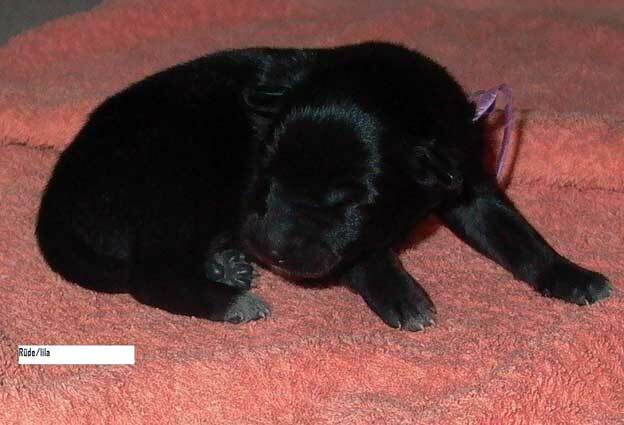 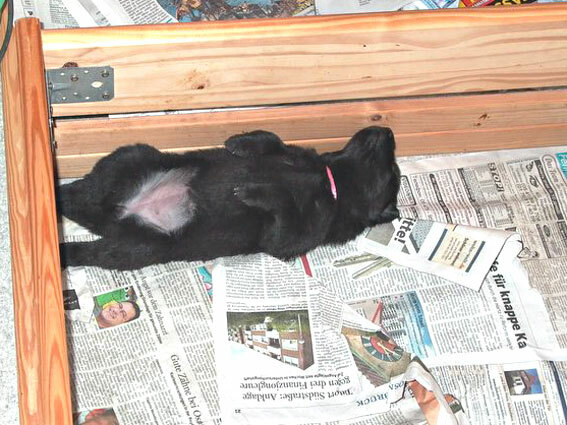 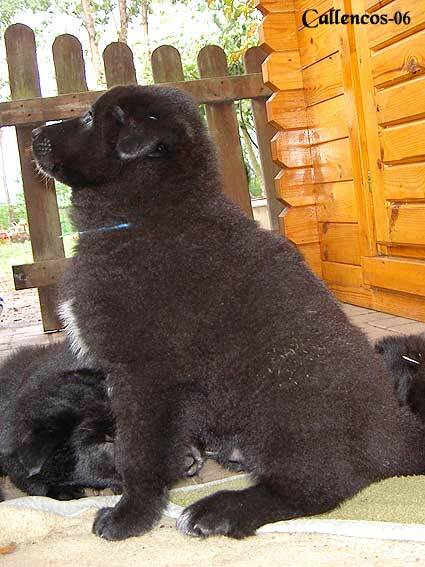 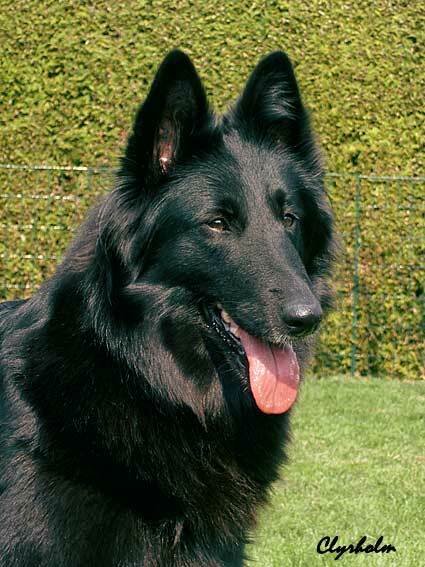 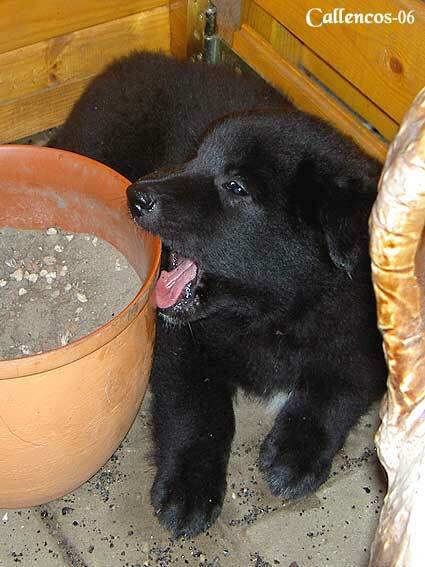 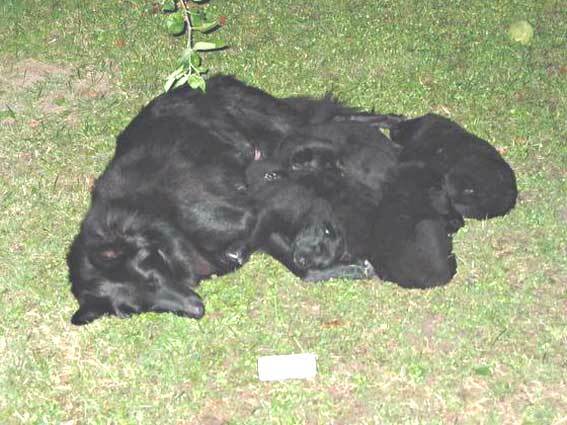 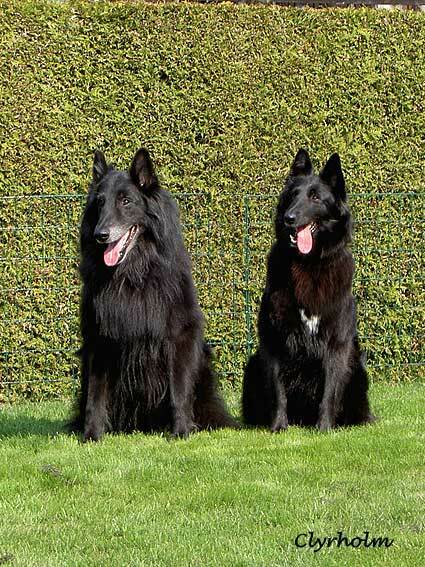 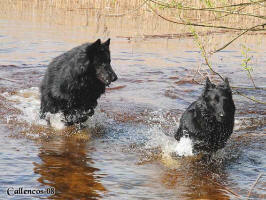 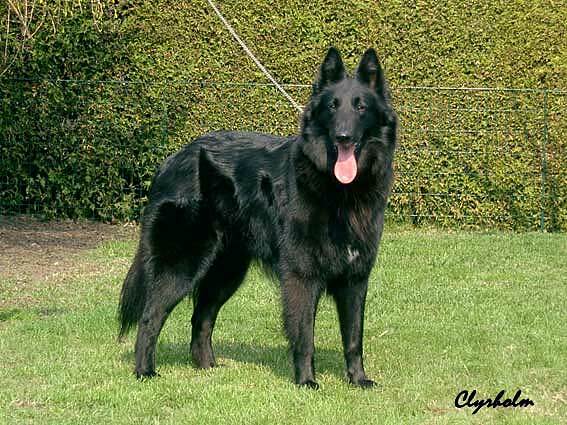 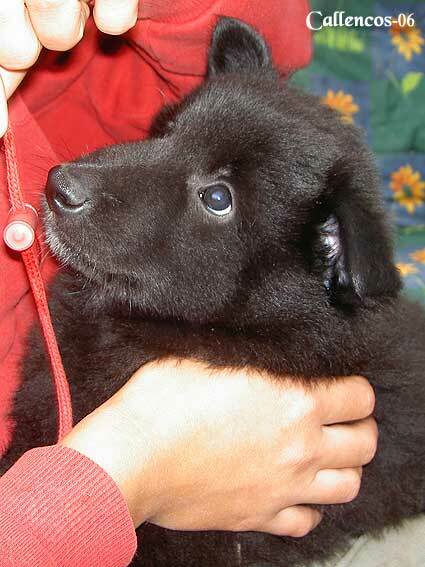 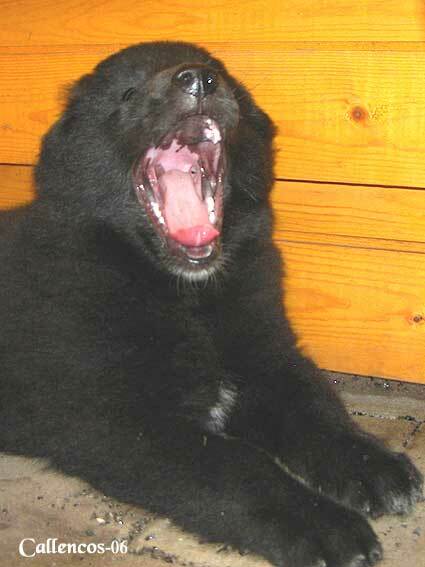 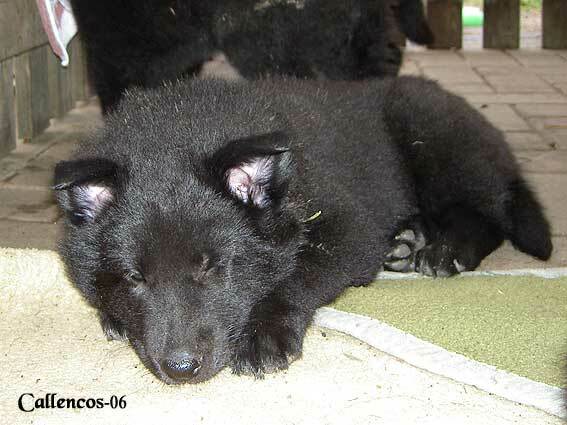 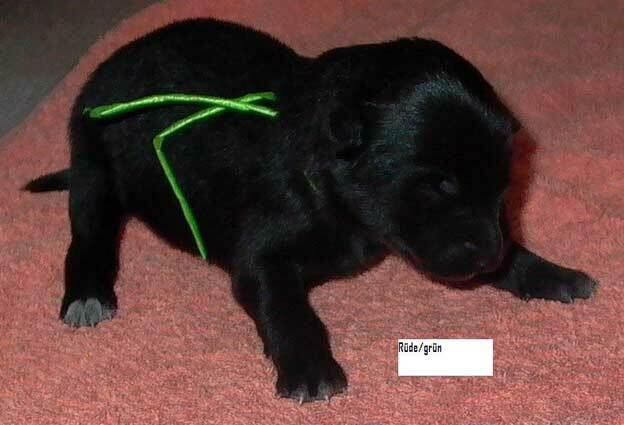 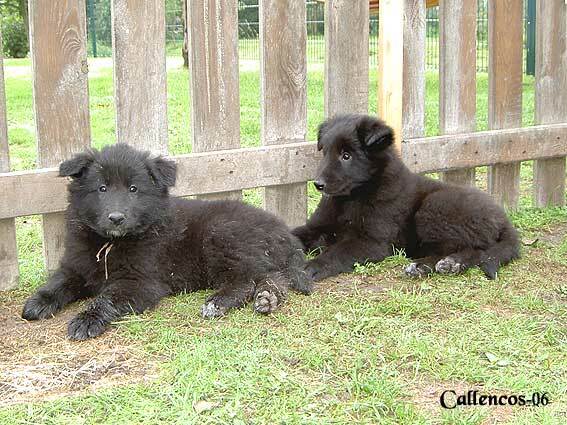 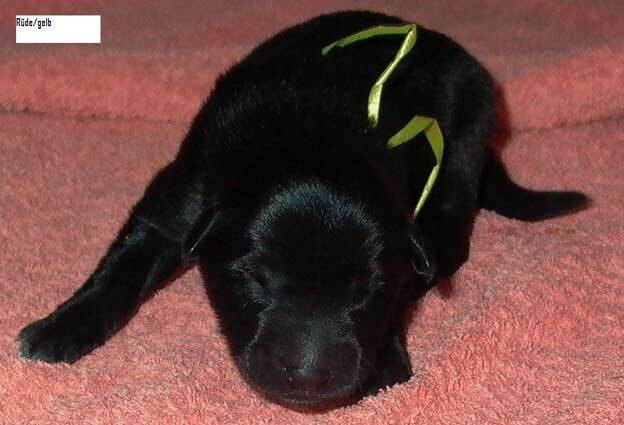 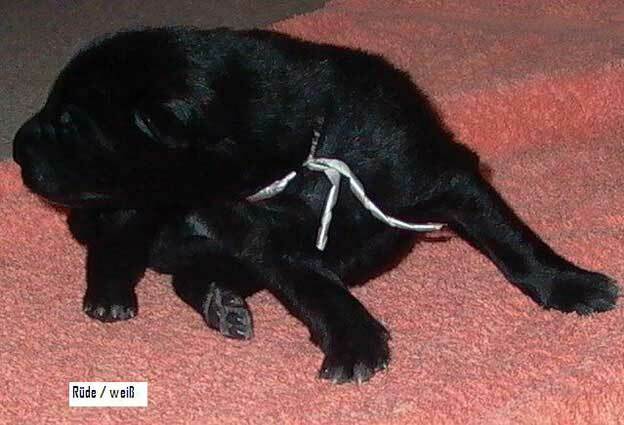 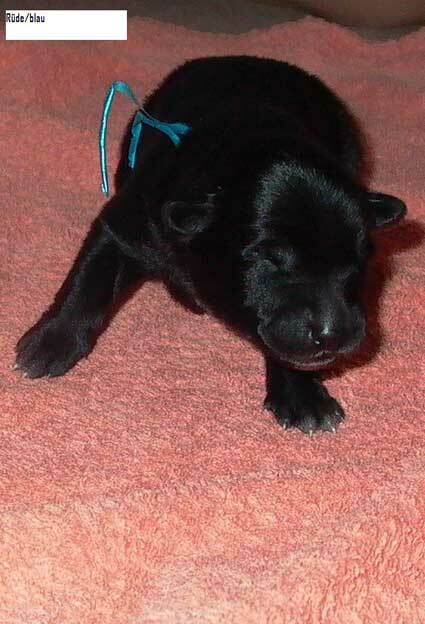 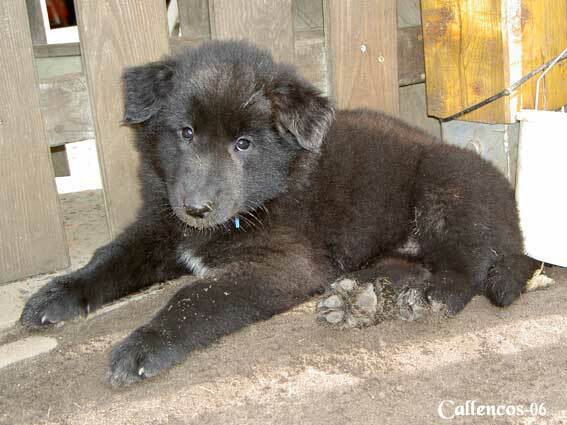 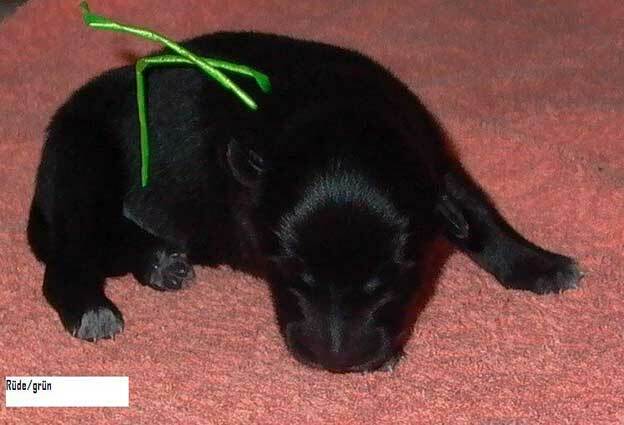 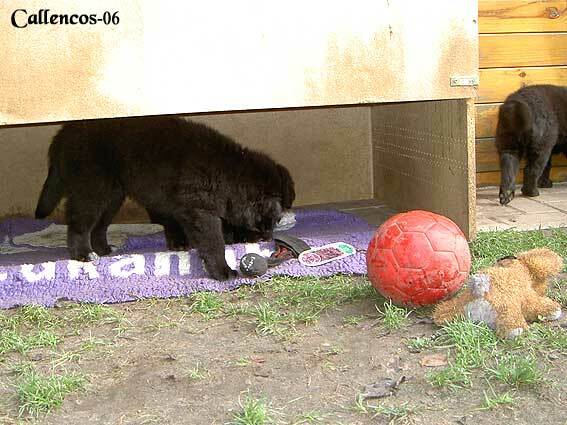 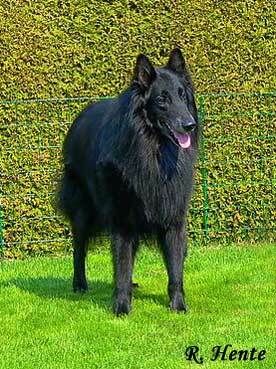 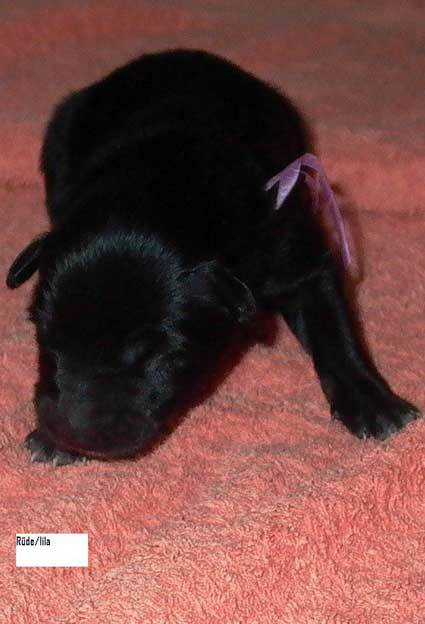 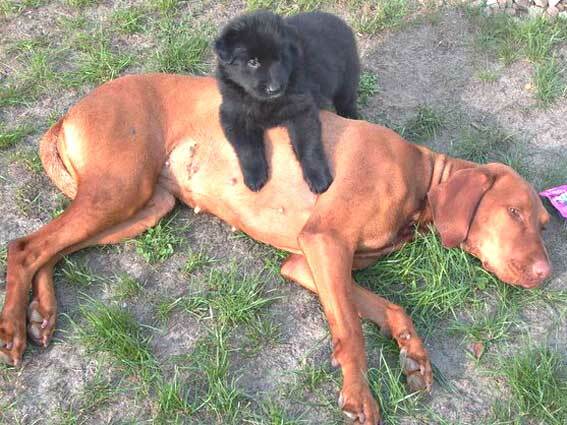 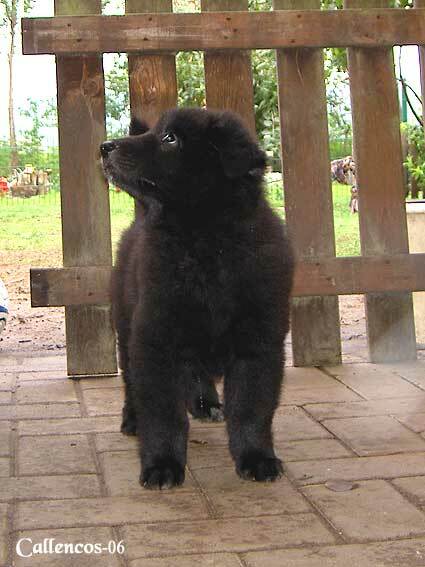 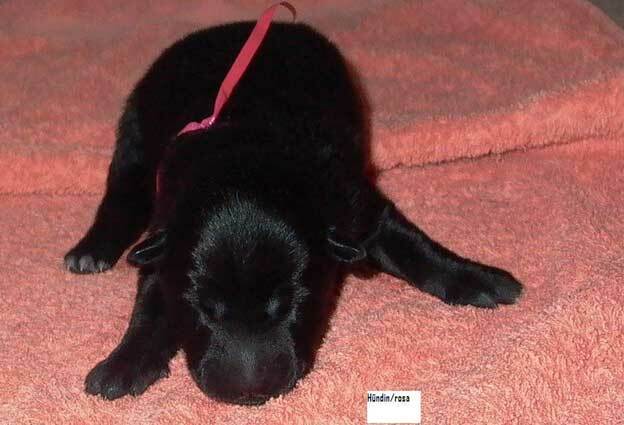 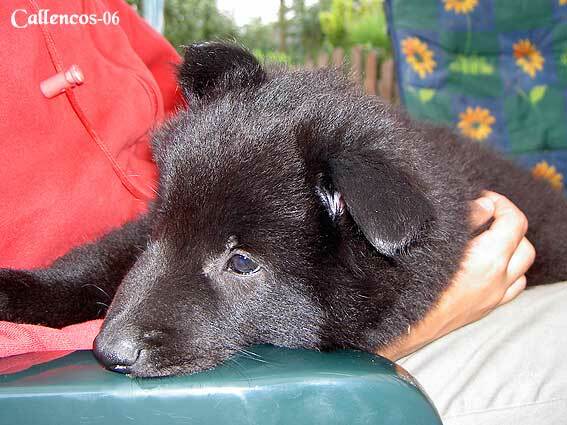 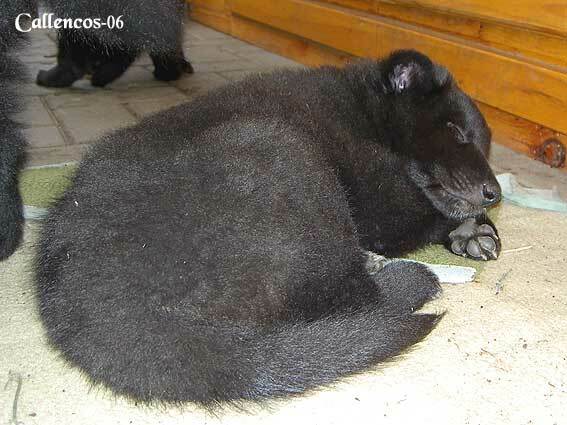 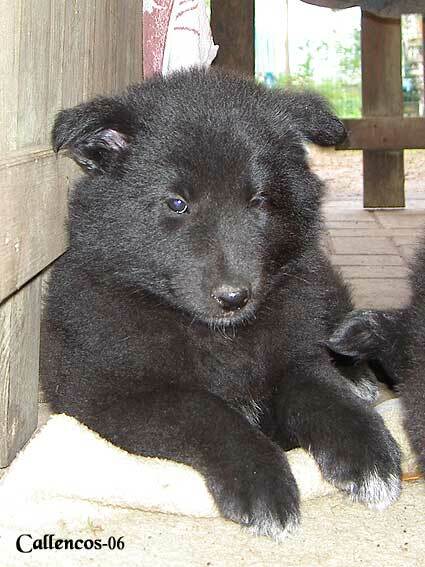 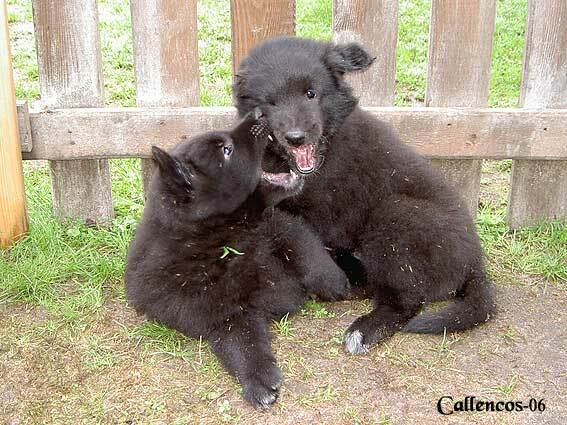 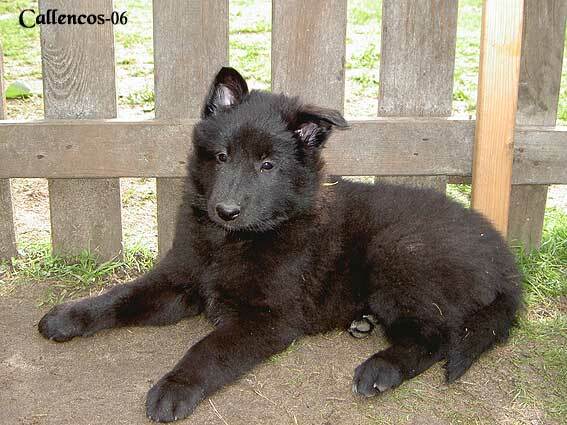 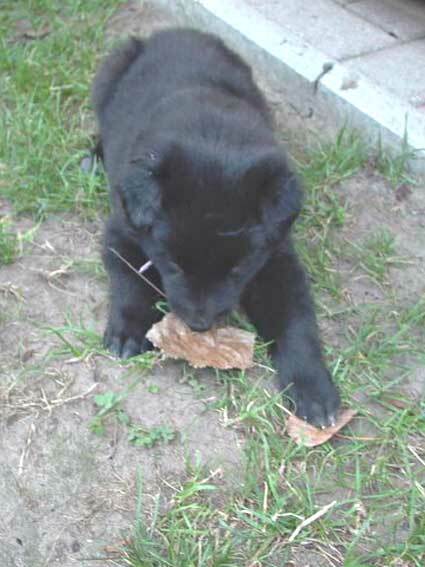 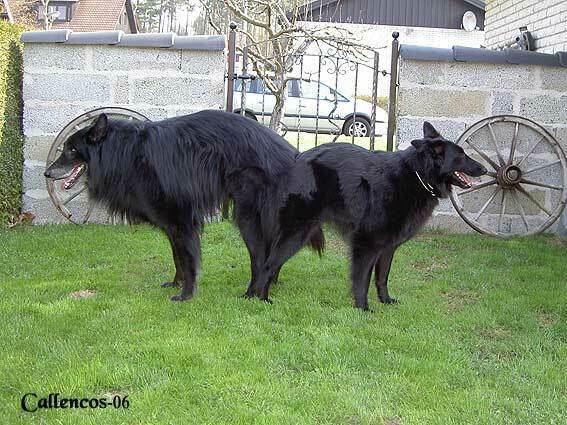 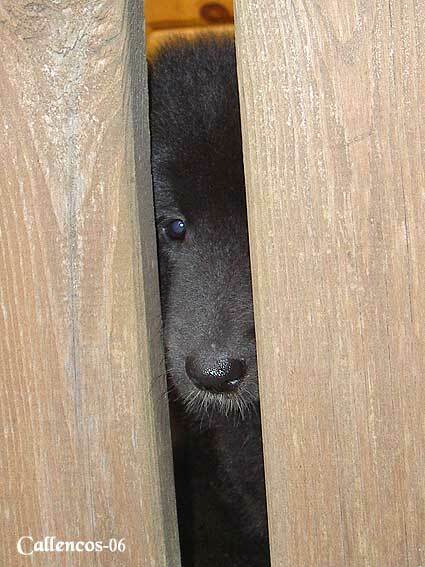 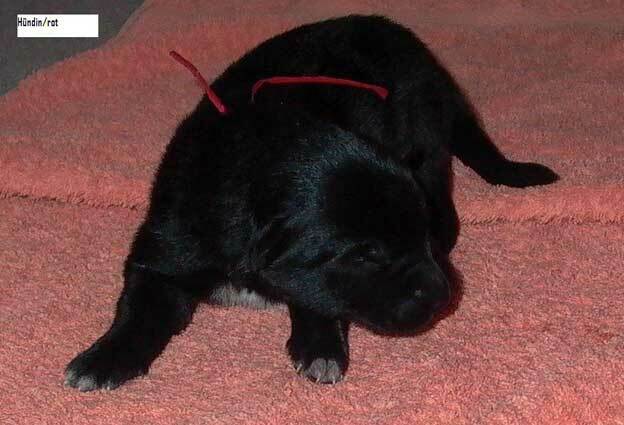 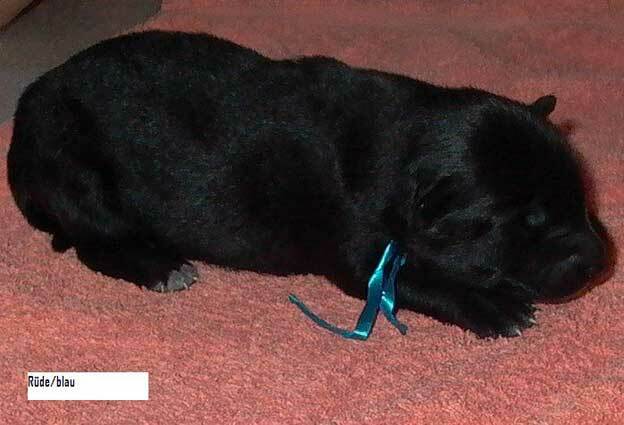 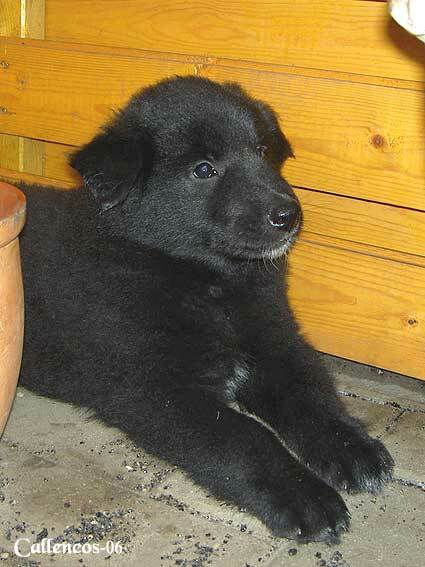 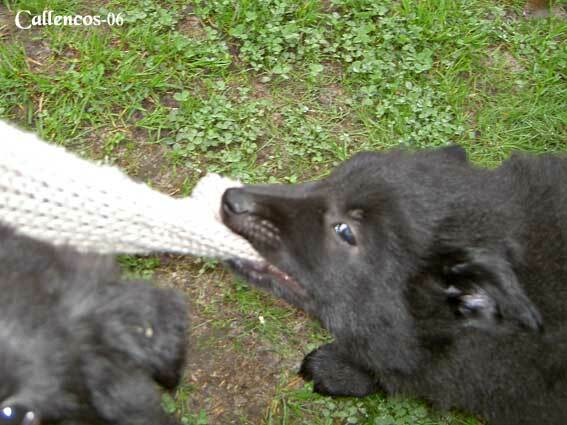 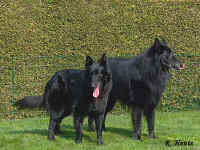 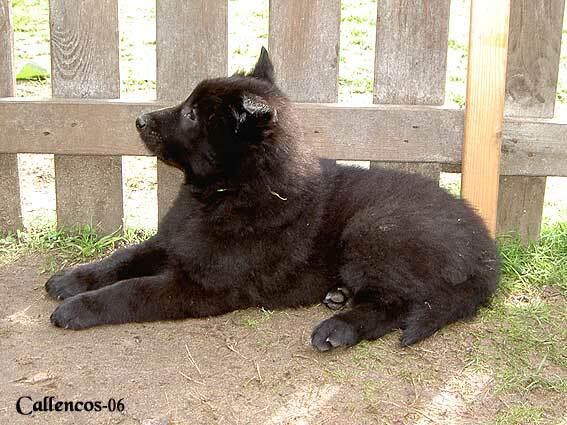 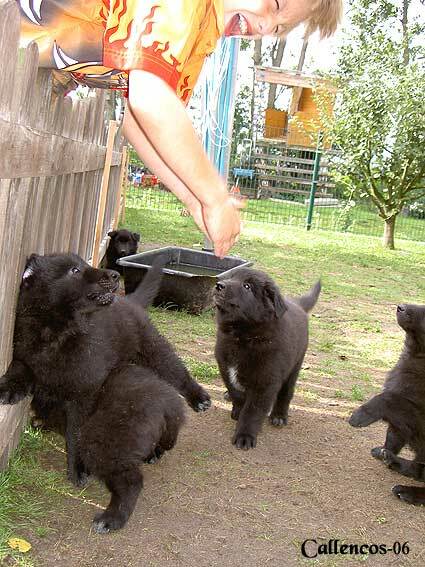 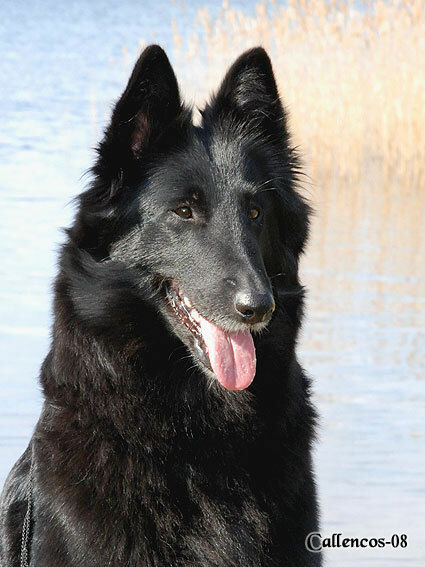 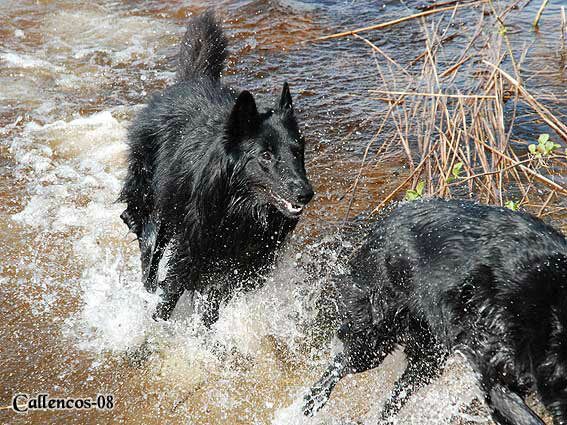 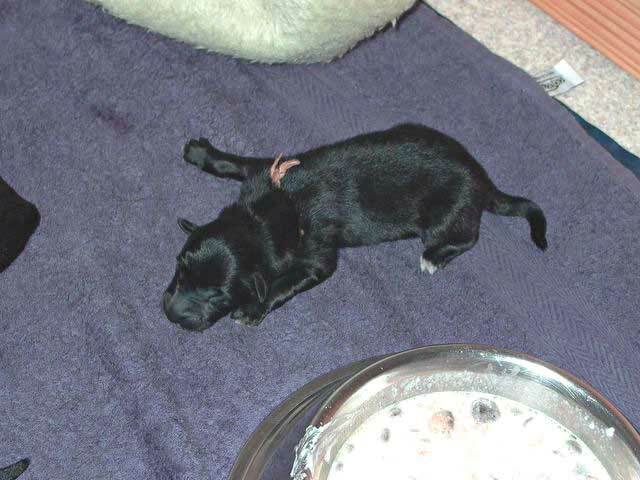 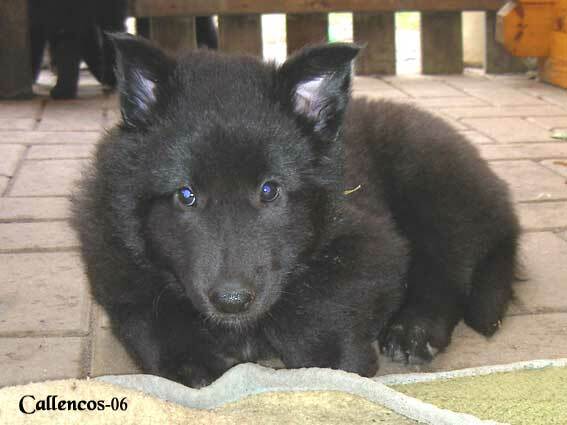 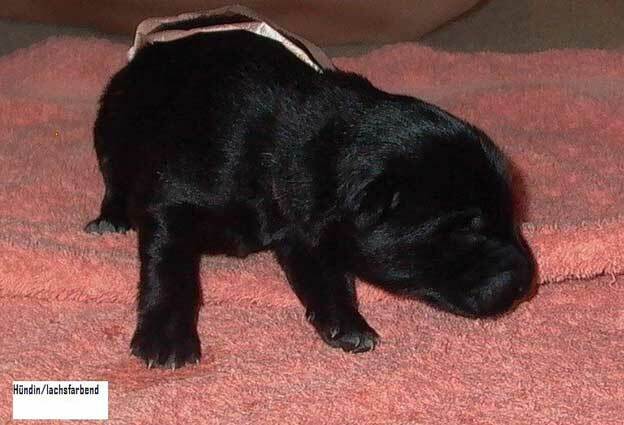 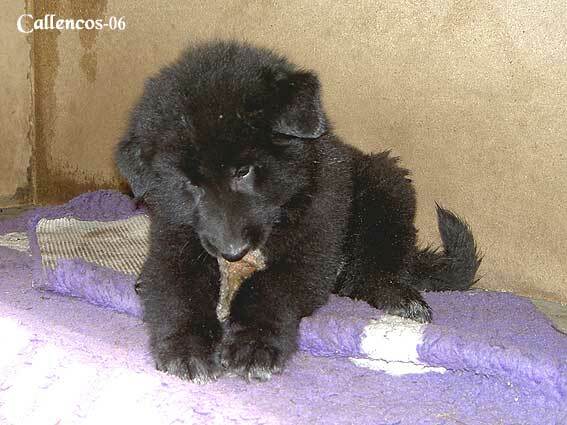 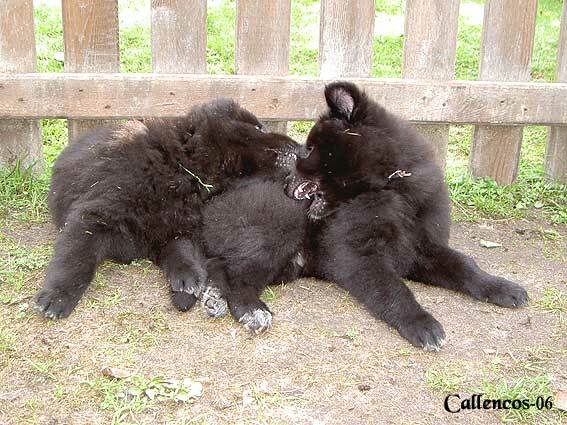 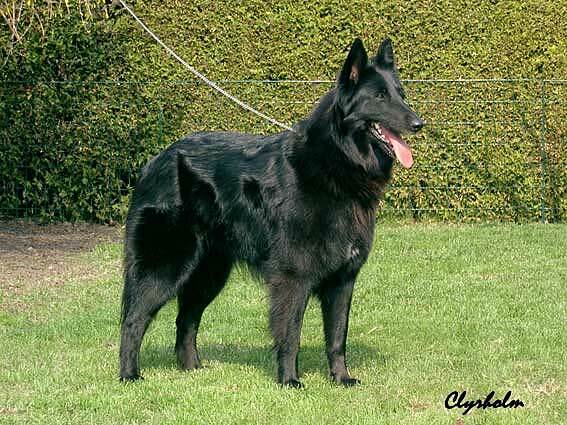 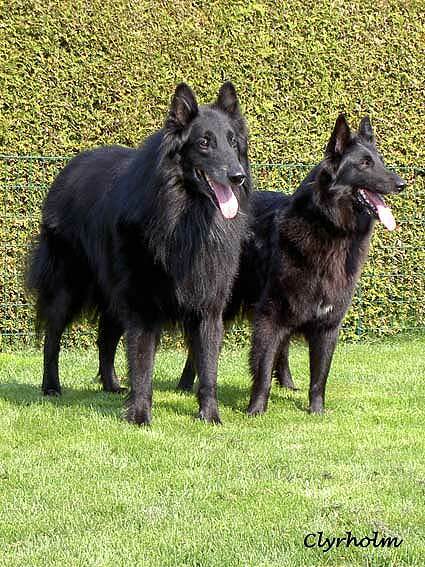 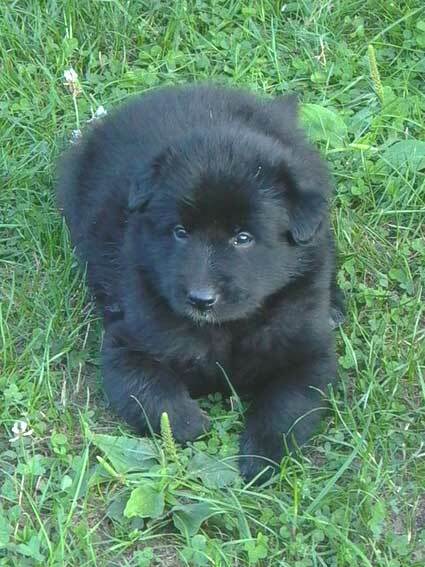 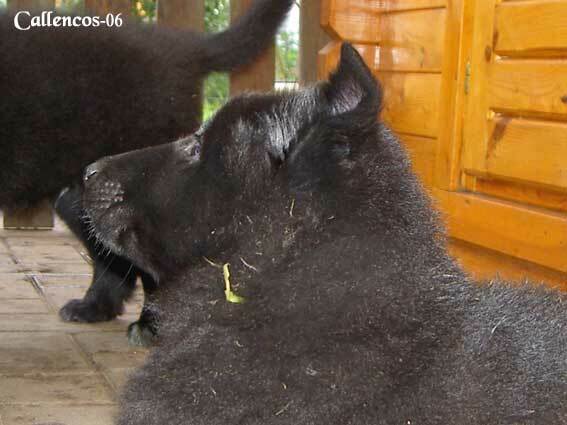 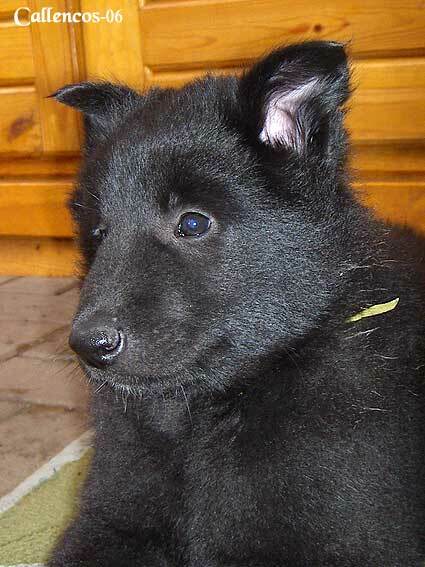 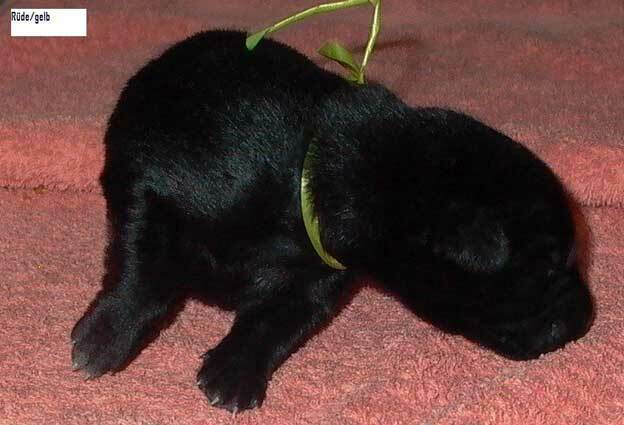 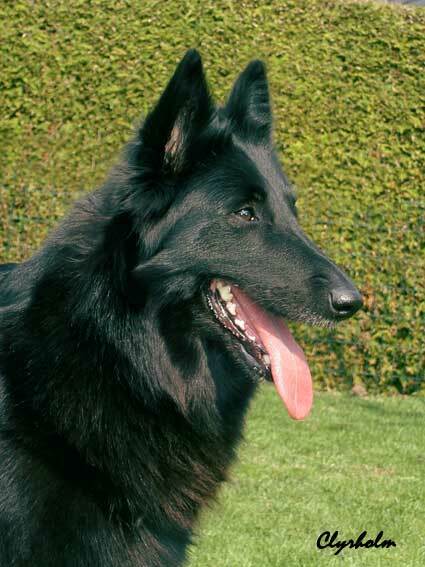 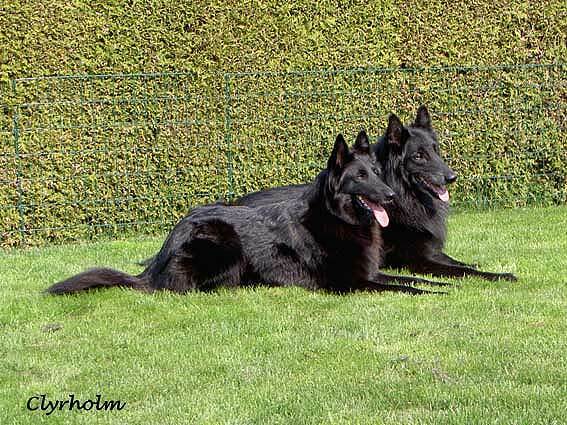 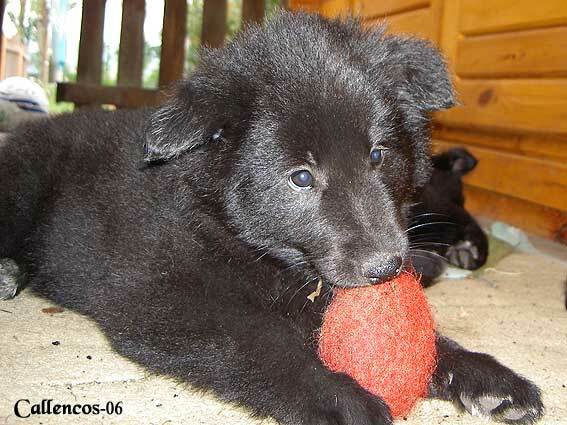 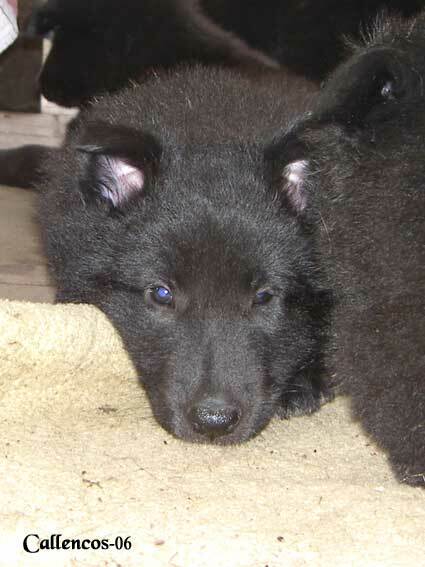 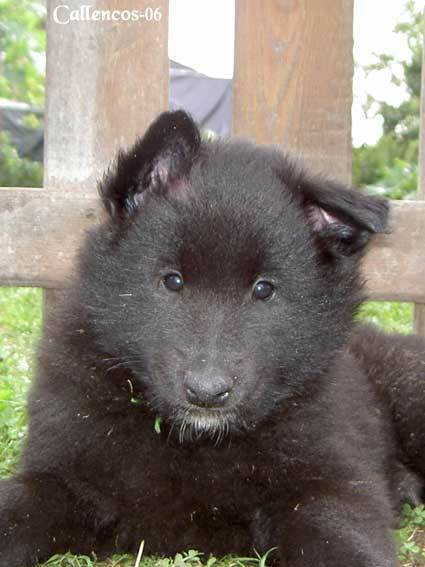 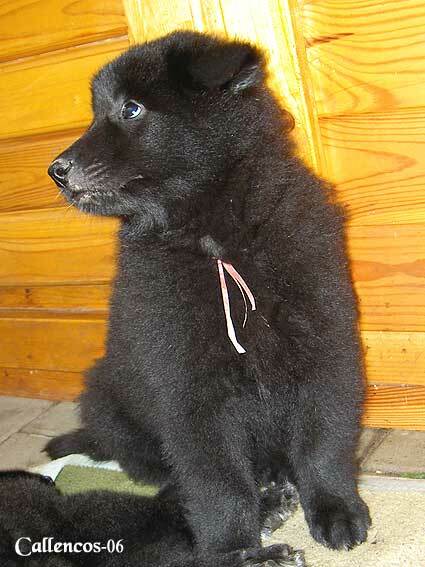 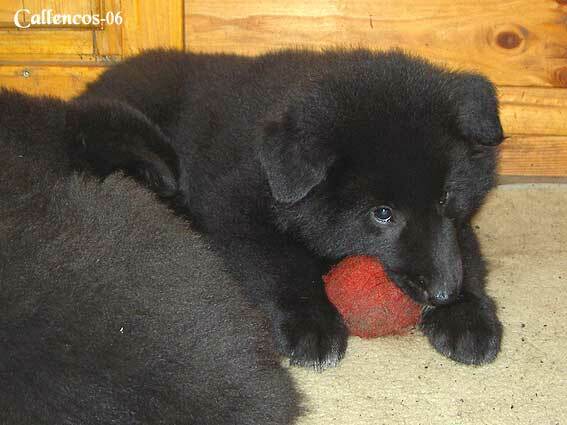 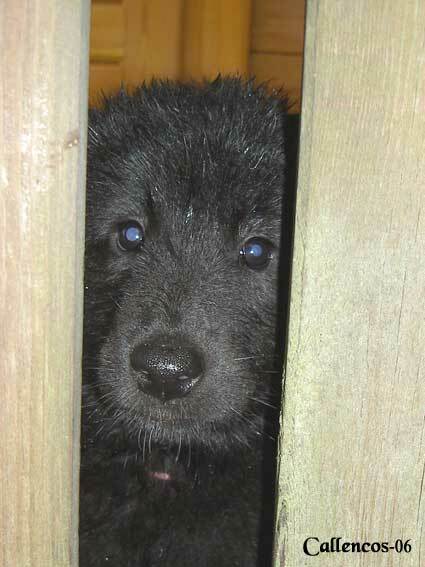 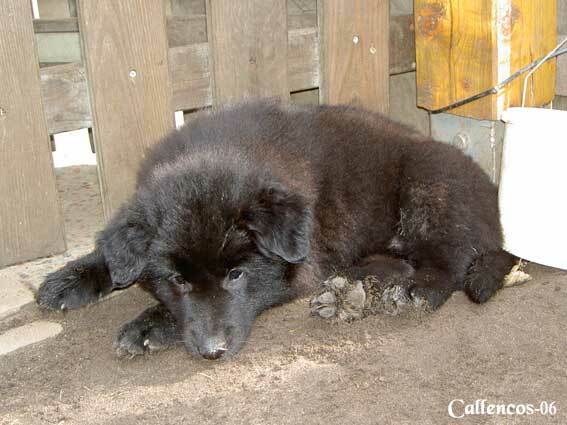 The puppies from this "tête a tête" entered the world 2006-07-08. 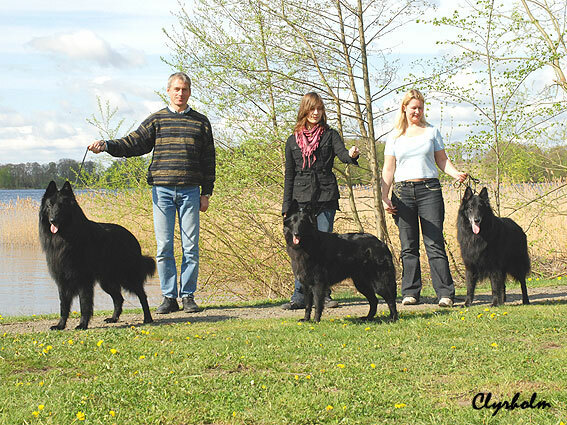 A-Pascha vom Johannisbach M Compl. 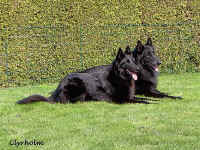 Private homepage M B/A 0/0 Compl. 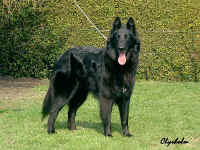 Adonis vom Johannisbach M Compl. 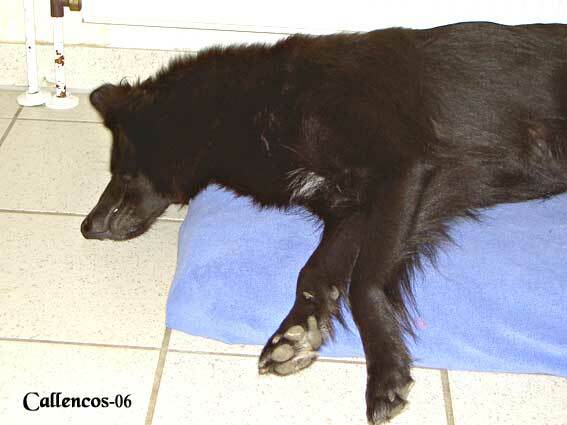 Asco vom Johannisbach M A/A ---- Compl. 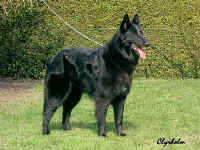 Aragon vom Johannisbach M Compl. 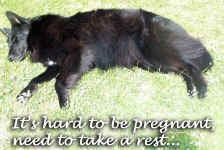 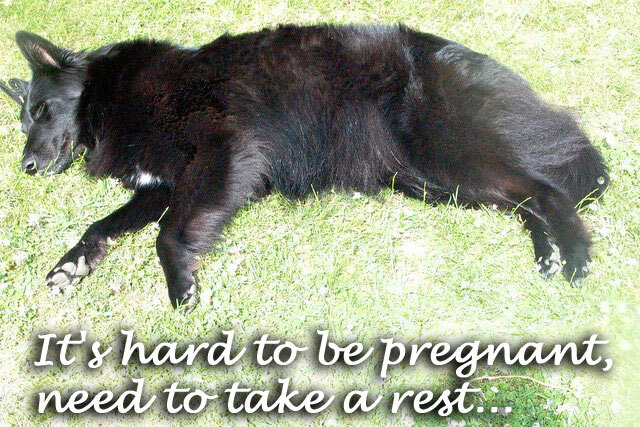 Euthanasied November 2010 due to thyroid problems. Ambra vom Johannisbach F A/A ---- Compl. 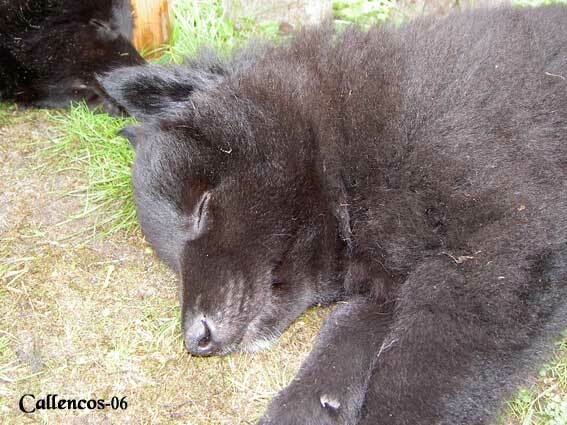 Askja vom Johannisbach F Compl. 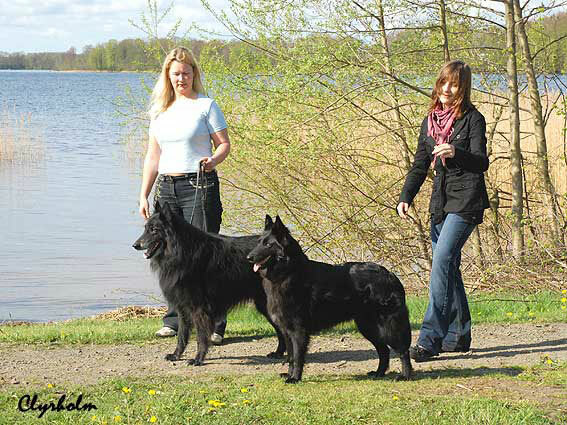 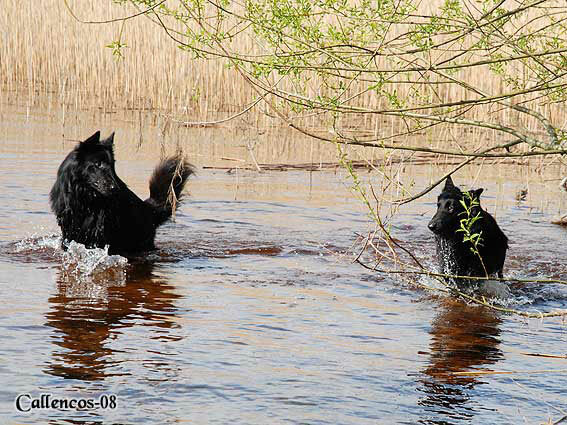 Aslan, Karol & Pascha at Ivö 2008-05-02. Then Aslan took a bath with his mother Karol. 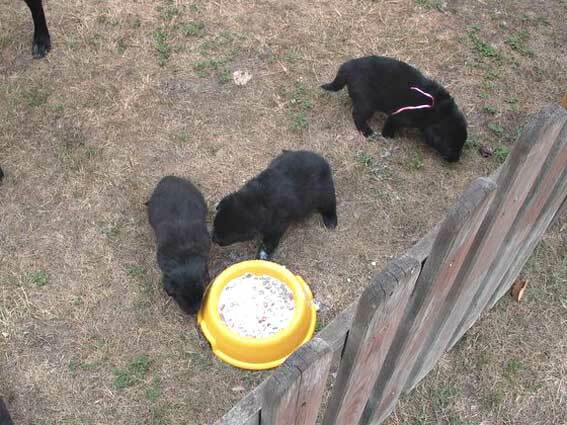 The puppies 7 weeks old. 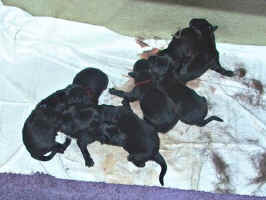 The babies about 5 weeks old. The babies about 4 weeks old. 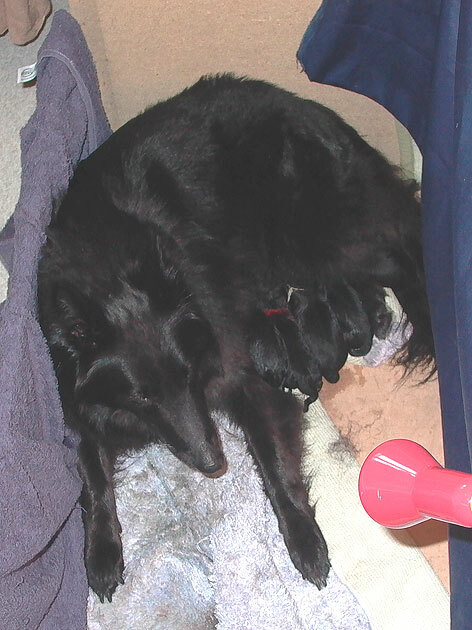 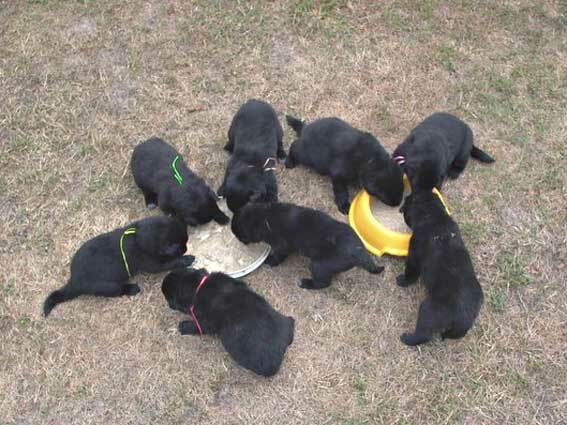 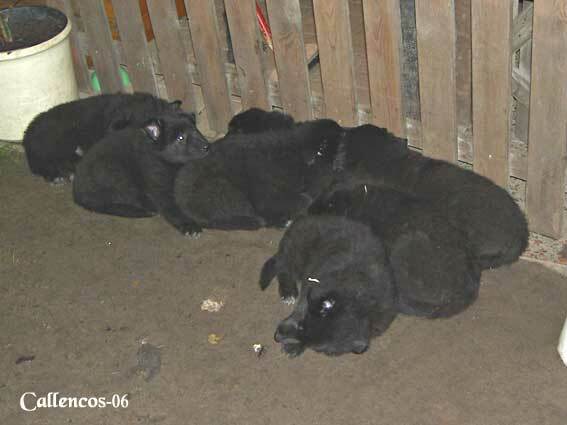 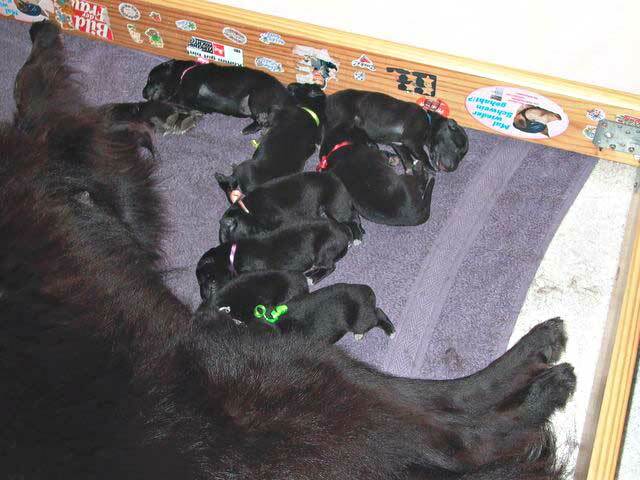 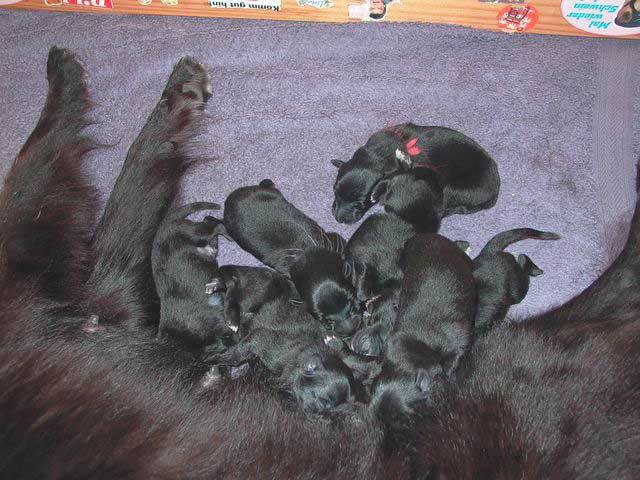 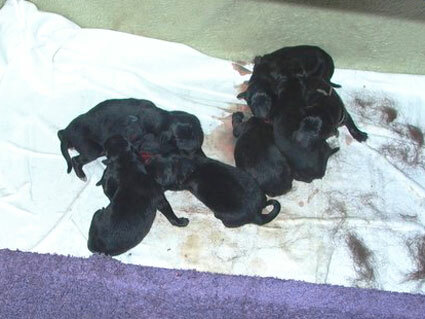 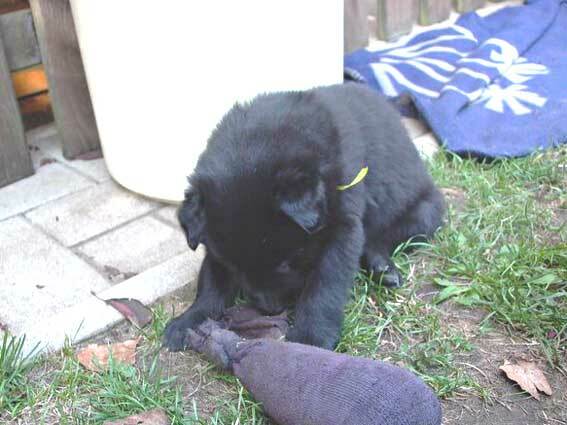 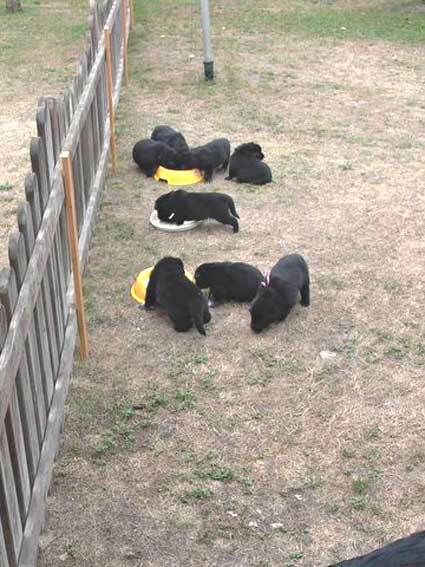 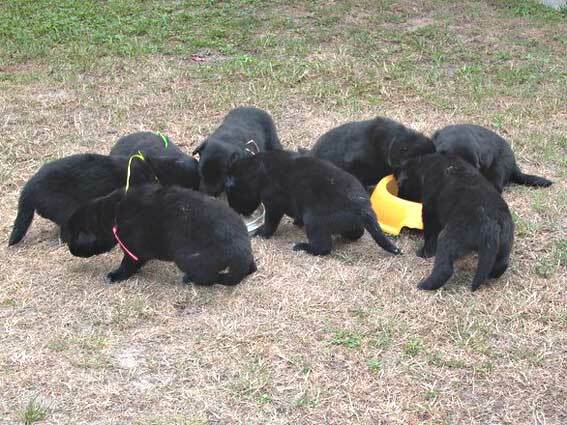 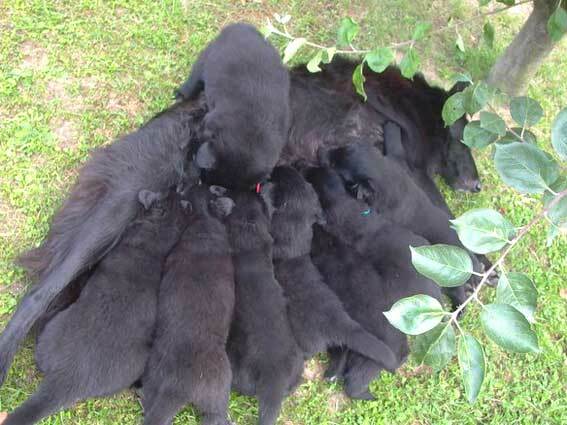 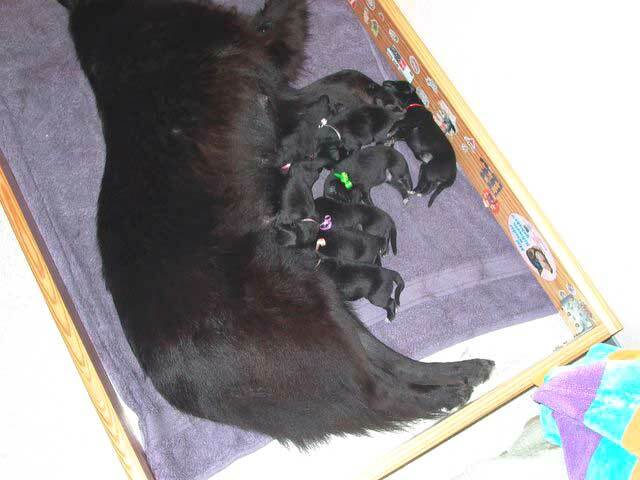 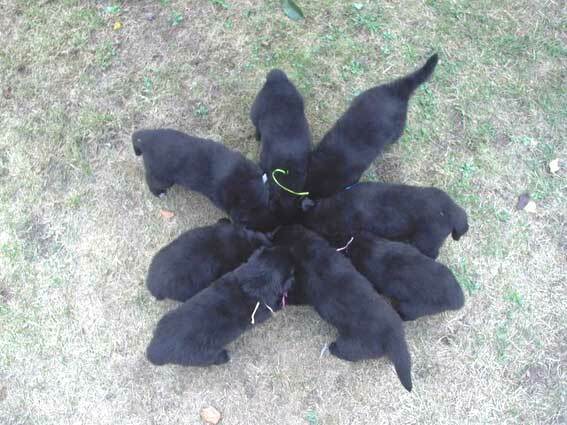 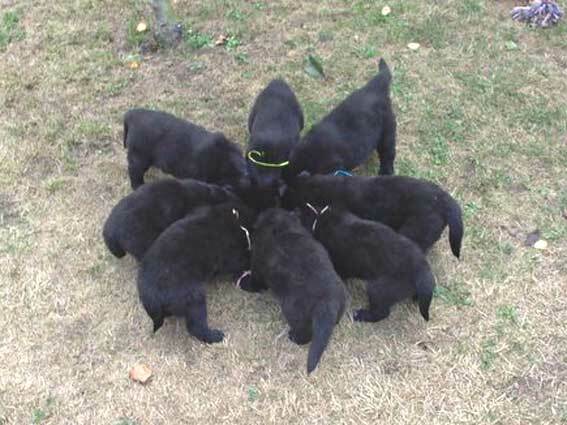 The babies pictured at 8 days of age. 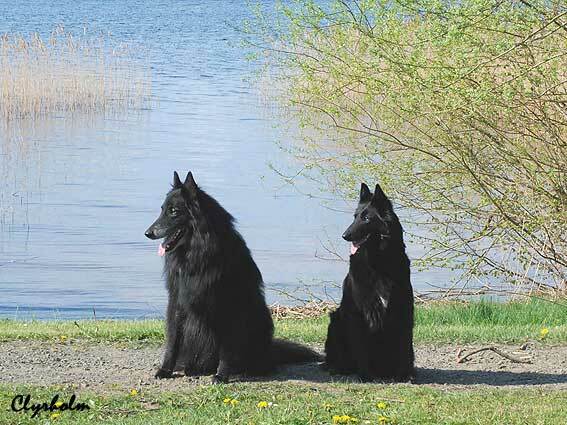 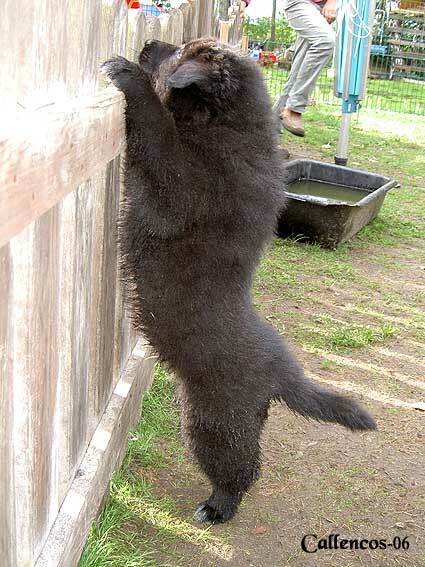 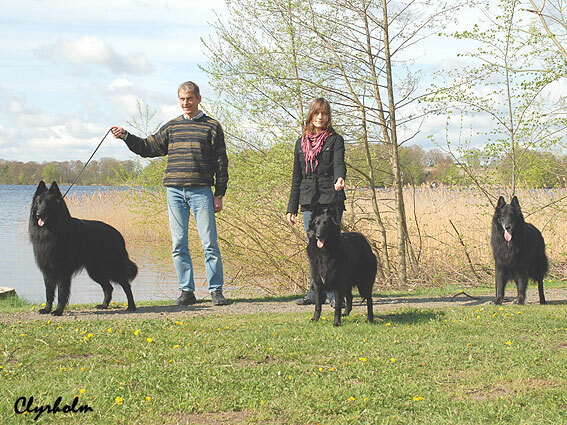 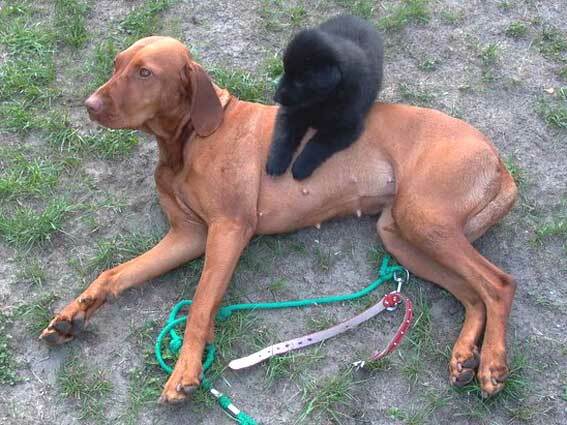 Hente's have been to the vet for an X-ray and now they know that 8 puppies should arrive around July 8.